Bali ATV Ride and Ubud Tour is a piece of Bali Combination Tours Packages we composed by permitted you to riding ATV / Buggy bicycle to the beaten track and afterward keep on investigating the excellence of vacationer end of the line in Ubud town. Is extraordinary open door we offer to make your vacation more impressive by investigate this islands in the way your never envision previously by riding the powerful ATV bicycle through the rice paddy and local village..
Bali ATV Ride and Uluwatu Tour packages is incredible Bali Combination Tours Packages we intended for appreciate the ride ATV bicycle through the track give and the proceed with the visit to visit the famous Uluwatu sanctuary and other fascinating tourism site. Is incredible and stunning combo trip you will have and riding the ATV bicycle with span 2 hours through the wonderful landscape and see the special neighborhood town. Bali ATV Ride and Kintamani Tour packages in our amazing Bali Combination Tours Packages experience to enjoy the stunning background we offer amid your vacation by offer you to ride the ATV bicycle and after that proceed with the trip to see the astonishing perspective of mount batur volcano view at Kintamani town. Is twofold experience you will have amid this bundles we offer, is exploit experience and entrancing touring visit packages. Bali ATV Ride and Tanah Lot Tour packages is the entrancing Bali Combination Tours Packages we outlined by provide for both of you distinctive experience of riding ATV bicycle through the beaten track and afterward going to Tanah Lot Temple and other visitor end. Is extraordinary and noteworthy visit bundles we offer to make your vacation more amazing purchase picking this combination ATV Ride and Tanah Lot temple tours packages. 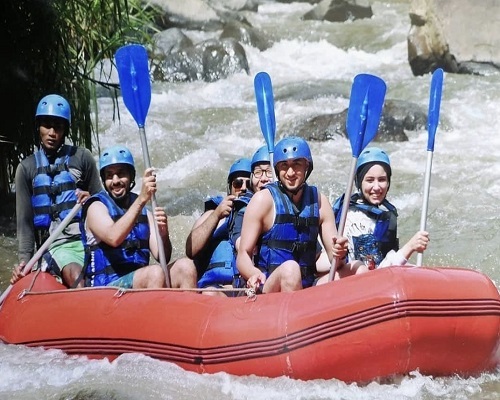 Bali Rafting and Ubud Tour is a Bali Combination Tours, is a rafting packages tour in the best white water river ayung river and visiting some tourist destination in Ubud area. You will enjoy the exciting combination tours of white water rafting adventure at beautiful Ayung River and continue to to Ubud tourism site. This combination tours will bring amazing experience in two different experience. Bali Rafting and Tanah Lot Tour is a Bali Combination Tours to enjoy two hours rapids challenge of white water raftings at ayung river with beautiful panorama site around the river and then continue the combination trip to visiting beautiful Tanah Lot Temple. This combination tours will start at ayung river for enjoy adventure rafting and continue visiting the sea temple or Tanah Lot Temple. Bali Water Sports and Ubud Tour is a Bali Combination Tours packages to enjoy marine water activity located in tanjung benoa or serangan beach Bali, This combination tours will enjoy water activity such as parasailing, banana boat, glass bottom boat and turtle islands and continue visiting tourist destination in Ubud Village such as Ubud Monkey Forest is small forest in the center of Ubud and visit Batuan village for Fine Art..
Bali Water Sport and Uluwatu Tour is a Bali Combination Tours package, is a bali day trip to visit tanjung bnoa or serangan for watersports activities here you can will try the adventure watersports activity package we offer to you with full of fun and continue visiting Uluwatu Temple know as a cliff temple. Uluwatu Temple, the famous Balinese Hindu Temple in in south part of Bali with breathtaking view of sunset and Indian Ocean. Bali Water Sports and Kintamani Tour is a Bali Combination Tours Packages we made for you to do the fun of Marine Activity at Serangan shoreline and keep going by visiting the stunning view of Volcano at Kintamani Village. Great combo experience we offer for your holiday by offer two different activity on one day which is Bali water sports activity adventure tour and see view of volcano mount batur and the lake from kintamani village. Bali Water Sports and Tanah Lot Tour is a Bali Combination Tours Packages we created for you to do the fun of Marine Activity at Serangan beach and continue visiting Tanah Lot Temple. Never leaved Bali without doing the adventurous water sports activity in the paradise islands, the water sports packages we offer is the best compilation from the best activity choice by the tourist and then visit the famous temple in Bali Islands. Bali Elephant Ride and Ubud Tour is a Bali Combination Tours packages, is a bali daily tour to visit places of interest in Ubud Bali and combined with Elephant Ride, the most popular adventures in Bali. It is an exciting combination tourspackage to see tourist destination in Ubud Bali like Monkey Forest, Ubud Palace, Goa Gajah Temple and Mas Village. On your tour journey you will enjoy the fantastic experience of 30 minutes ride on Sumatra's Elephant. Bali Elephant Ride and Uluwatu Tour is a Bali Combination Tours Packages we designed for your holiday by feel the experience Riding an elephant at Bakas Village and Continue visiting Uluwatu Temple in the south of Bali islands. This is great combination we offer to make your holiday enjoyable by try the different experience which is do sightseeing visiting uluwatu temple and adventure riding an elephant and visiting tourist destination of Uluwatu Temple. Bali Elephant Ride and Kintamani Tour is a Bali Combination Tours Packages by offer double exciting experience of Riding an Elephant and see the view of Mount Batur Volcano at Kintamani Village. Is amazing experience you will have during Bali Elephant Ride and Kintamani Tour which is getchance to get closed with biggest animals (elephants) and riding on the top and the tour will continue to visit Kintamani Village for enjoy view of active volcano mount Batur. Bali Elephant Ride and Tanah Lot Tour is a Bali Combination Tour Packages by give you the enjoyment ride an Elephant at Bakas village and continue visiting the famous Tanah Lot Temple. This opportunity offer you two different experiences during your holidays, Is chance Riding the biggest mamals through the bushes, jungle and passed the Balinese village for 30 minutes and continue visiting Tanah Lot Temple and other tourist destination. 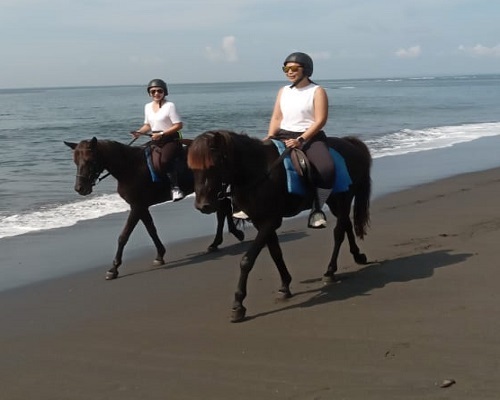 Bali Horse Riding and Jatiluwih Tour is a Bali Combination Tour packages and interesting combination tours to enjoy adventure of horse back riding in yeh gangga beach and continue to see the beautiful Jatiluwih rice terrace. This Bali Horse Riding and Jatiluwih Tour package will visit Saba Stable at east Bali, here you will do Horseback Riding for 1.30 hours riding. Bali Horse Riding and Uluwatu Tour is part of Bali Combination Tours Packages we created by offer you to enjoy horseback riding at serangan beach and then continue visiting Uluwatu temple with amazing view. Is a great combination tour package we designed by combine two experiences adventure and sightseeing tours in one day and will make your day amazing. Bali Safari Park and Uluwatu Tour is a Bali Combination Tours to visit bali safari and marine park and visiting Uluwatu Temple know as a cliff temple. visit uluwatu temple with breathtaking view of sunset and Indian Ocean. This combination tours package is combined with the spectacular Balinese traditional dance performance of Kecak Dance and enjoys the delicious seafood dinner at Jimbaran Beach. Bali Safari Park and Tanah Lot Tour is a Bali Combination Tours packages in Bali Islands to visit Bali Safari and Marine Park with anykind of animals and continue visiting Tanah Lot Temple and other tourist destination. 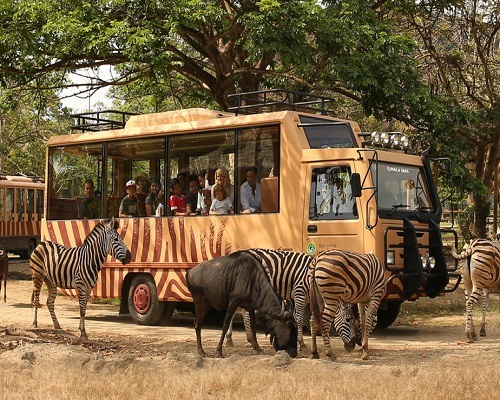 Bali Safari Park and Tanah Lot Tour is very exciting tour the visit park by do Bali Jungle Hopper Packages program we offer for your trip which is packages by allowed you to explore the park. Bali Spa and Dinner Tour is a Bali Combination Tours, is a special packages tour that we offer for you after you do some trip in bali, its combination betwen balinese spa and fresh seafood dinner. This combination tours will bring you to the wonderful memory with two different experiences as the feature of this package. Our professional tour guide is always outstanding offer our best services to keep your convenience trip along with private Car. 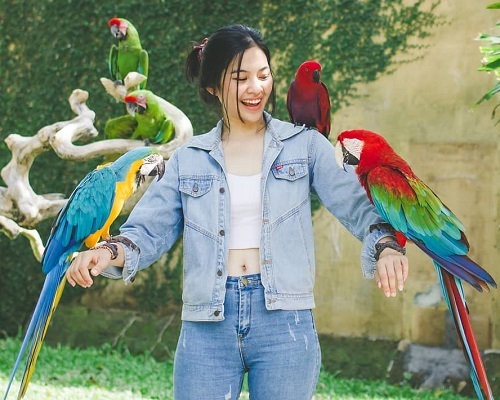 Bali Bird Park and Ubud Tour is a Bali Combination Tours packages to visit Bali Bird Park with hundred kind of species bird and visiting ubud village known as a culture art village. This combination tours is great choices for know closer about the amazing bird from different species, and you also get chances see other animals also in the bali bird parks and continue visiting tourist destination in Ubud art village. Bali Zoo Park and Ubud Tour is a Bali Combination Tour Packages to enjoy visiting Bali Zoo Parks and see the amazing animals then continue visiting tourist attraction in Ubud Village. Is great chance to get closed with animal from indonesian and do some trip to visit the best and famous tourist destination in Ubud village. Is great experience for your children to get closed with many species of the animal at Bali Zoo Parks. 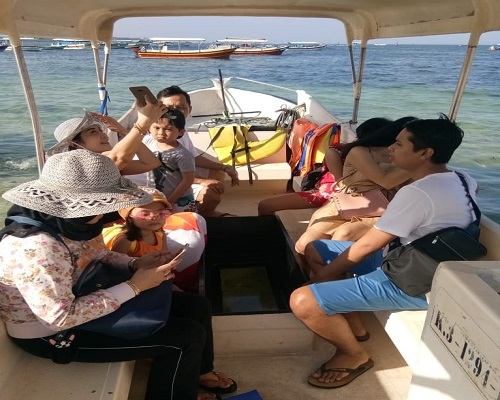 Bali Water Sport and Dinner Tour is a Bali Combination Tours package, is an interesting packages tour in Bali, Combination of water sport activities in nusa dua and dinner at jimbaran bay. This combination tours will bring you to the wonderful memory with two different experiences as the feature of this combination tours package.